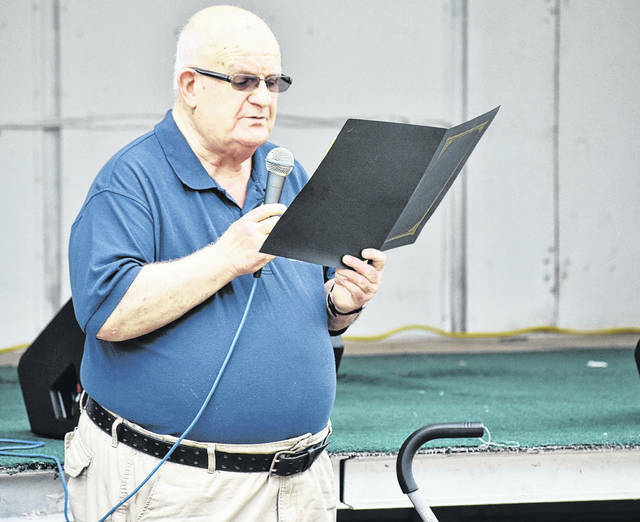 Gallipolis City Commissioner Tony Gallagher reads a proclamation during the opening ceremony of the 2018 River Recreation Festival. 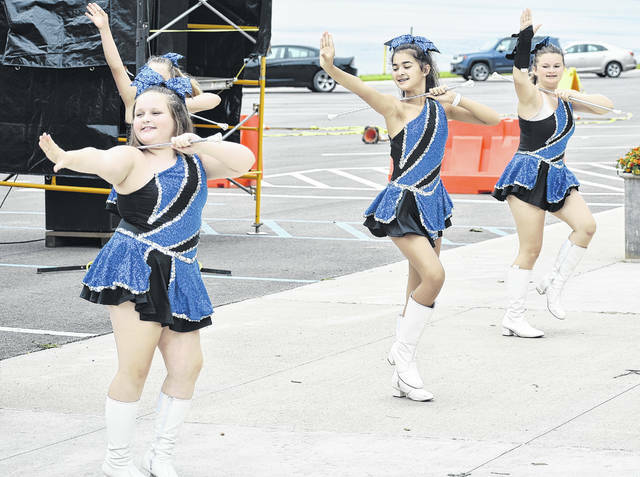 Members of the Gallipolis Twirling Angels perform at the amphitheater on Tuesday, kicking off the entertainment at the 2018 River Rec Festival. Bradley Haley plays the violin during the selection of live gospel music performances on Tuesday at the 2018 River Rec Festival. Ice cold treats were on tap to beat the heat for those in attendance at the Gallipolis River Recreation Festival. A young festival goer slides out of a inflatable. 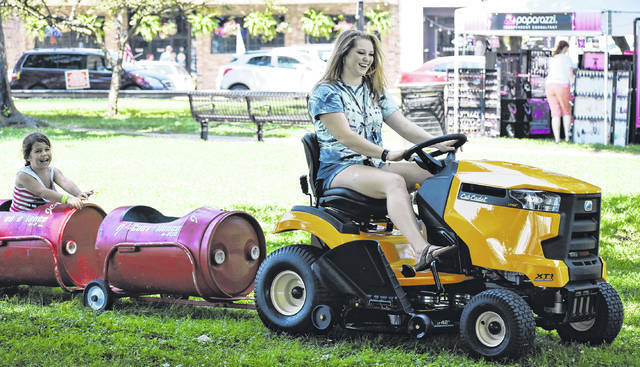 Jamie Steger of Gallipolis provides a trip around the River Recreation Festival as conductor of the Kid’s Train. 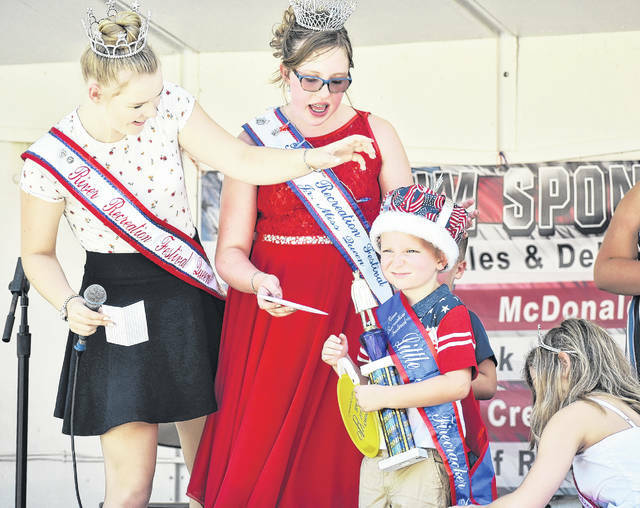 Cole Washington was crowned the 2018 Little Mister Firecracker on Tuesday at the amphitheater during the Gallipolis River Recreation Festival. Cole is the son of Gregory and Shawnda Washington of Gallipolis. 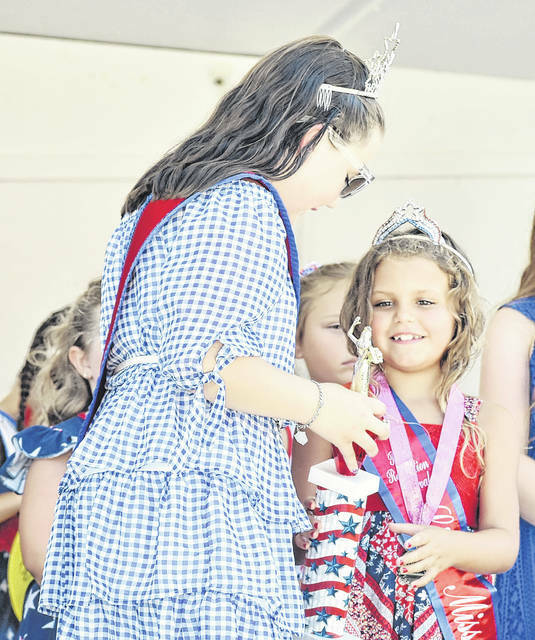 Brionna Lee receives a trophy following her crowning as the 2018 Little Miss Firecracker on Tuesday, at the amphitheater during the Gallipolis River Recreation Festival. Brionna is the daughter of Greg and Valerie Lee of Gallipolis. Eric Clary (right) instructs Gary Carroll (left) in archery technique at the S.A.F.E. Archery exhibit on Tuesday at the 2018 Gallipolis River Recreation Festival. 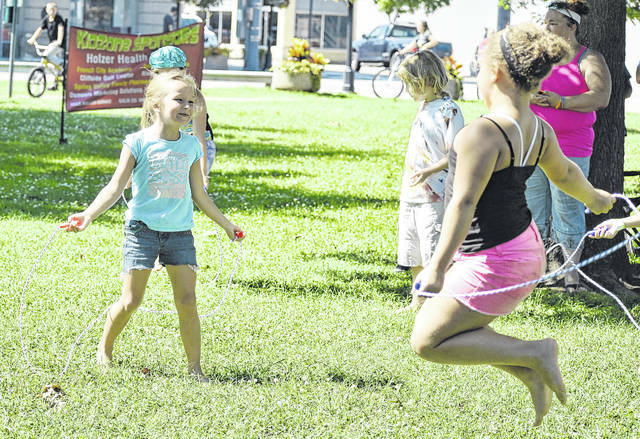 Marly Ashworth (left) attempts a jump during the jump rope competition on Tuesday at the Gallipolis River Recreation Festival. Ben Supple performs during the talent show event held on Tuesday at the amphitheater during the 2018 Gallipolis River Recreation Festival. https://www.mydailytribune.com/wp-content/uploads/sites/42/2018/07/web1_7.03-RR-Gallagher-1.jpgGallipolis City Commissioner Tony Gallagher reads a proclamation during the opening ceremony of the 2018 River Recreation Festival. https://www.mydailytribune.com/wp-content/uploads/sites/42/2018/07/web1_7.03-RR-Twirl-1.jpgMembers of the Gallipolis Twirling Angels perform at the amphitheater on Tuesday, kicking off the entertainment at the 2018 River Rec Festival. 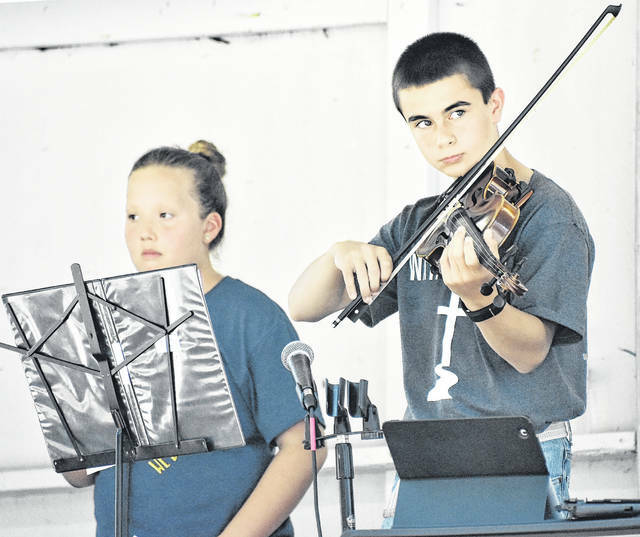 https://www.mydailytribune.com/wp-content/uploads/sites/42/2018/07/web1_7.03-RR-Haley-1.jpgBradley Haley plays the violin during the selection of live gospel music performances on Tuesday at the 2018 River Rec Festival. 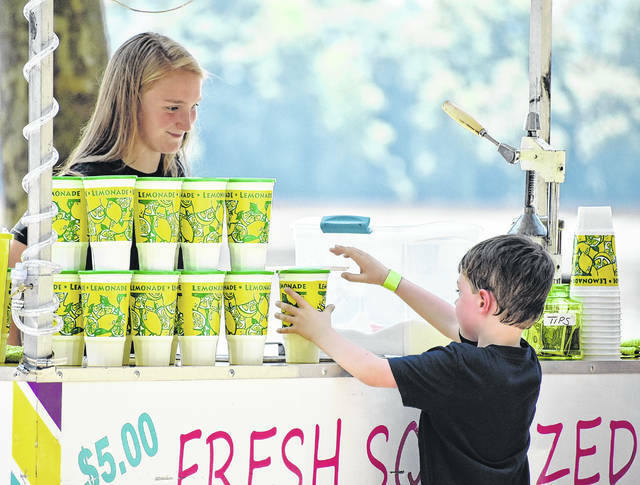 https://www.mydailytribune.com/wp-content/uploads/sites/42/2018/07/web1_7.03-RR-Lemon-1.jpgIce cold treats were on tap to beat the heat for those in attendance at the Gallipolis River Recreation Festival. 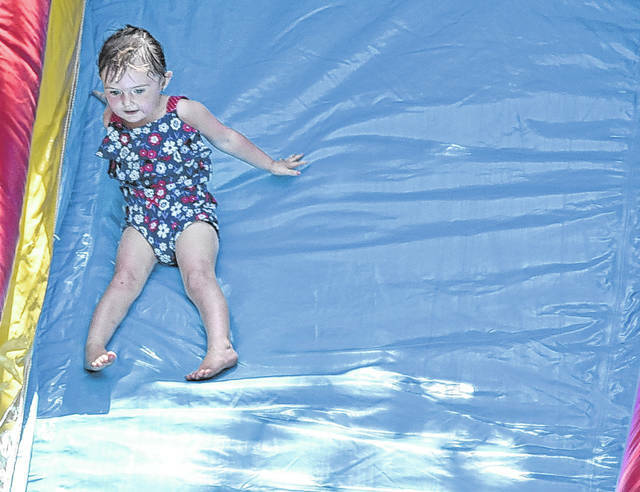 https://www.mydailytribune.com/wp-content/uploads/sites/42/2018/07/web1_7.03-RR-Slide-1.jpgA young festival goer slides out of a inflatable. https://www.mydailytribune.com/wp-content/uploads/sites/42/2018/07/web1_7.03-RR-Steger-1.jpgJamie Steger of Gallipolis provides a trip around the River Recreation Festival as conductor of the Kid’s Train. 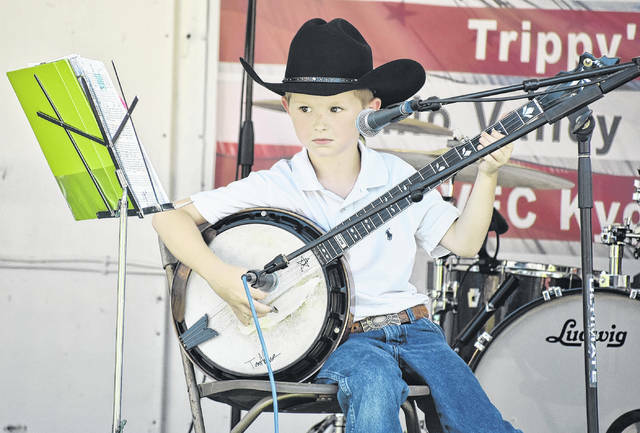 https://www.mydailytribune.com/wp-content/uploads/sites/42/2018/07/web1_7.03-RR-Washington-1.jpgCole Washington was crowned the 2018 Little Mister Firecracker on Tuesday at the amphitheater during the Gallipolis River Recreation Festival. Cole is the son of Gregory and Shawnda Washington of Gallipolis. https://www.mydailytribune.com/wp-content/uploads/sites/42/2018/07/web1_7.03-RR-Lee-1.jpgBrionna Lee receives a trophy following her crowning as the 2018 Little Miss Firecracker on Tuesday, at the amphitheater during the Gallipolis River Recreation Festival. Brionna is the daughter of Greg and Valerie Lee of Gallipolis. https://www.mydailytribune.com/wp-content/uploads/sites/42/2018/07/web1_7.03-RR-Archery.jpgEric Clary (right) instructs Gary Carroll (left) in archery technique at the S.A.F.E. 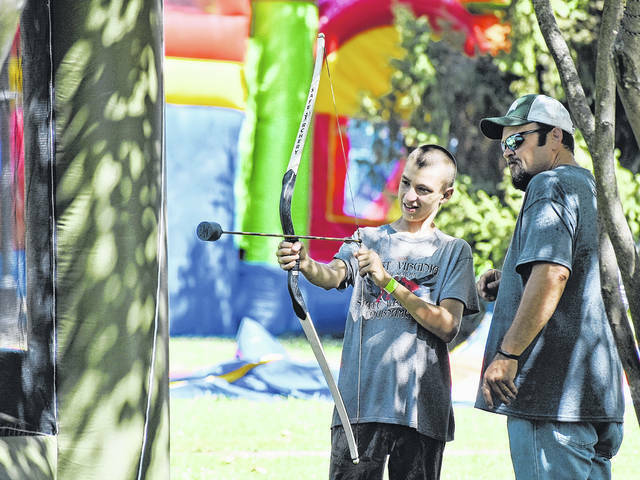 Archery exhibit on Tuesday at the 2018 Gallipolis River Recreation Festival. https://www.mydailytribune.com/wp-content/uploads/sites/42/2018/07/web1_7.03-RR-Ashworth.jpgMarly Ashworth (left) attempts a jump during the jump rope competition on Tuesday at the Gallipolis River Recreation Festival. https://www.mydailytribune.com/wp-content/uploads/sites/42/2018/07/web1_7.03-RR-Supple.jpgBen Supple performs during the talent show event held on Tuesday at the amphitheater during the 2018 Gallipolis River Recreation Festival.